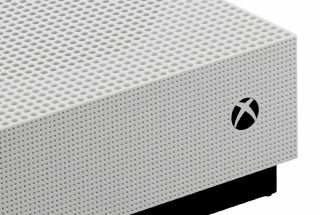 You can now get Dolby Atmos on your Xbox One | What Hi-Fi? If you're part of the Xbox One Preview program you can enjoy Atmos on your Xbox right now. The Xbox One has become the first console to feature Dolby Atmos sound, thanks to an update available on Xbox One Preview (the Xbox One beta program). The full update for all users will be coming to consoles, Windows 10 PCs and tablets in the New Year, stealing a march on the Sony PS4 Pro which does not yet support Dolby Atmos. Microsoft has announced that the technology will be coming to both its console and Windows 10 computers and tablets in 2017. Dolby Atmos is a sound format that places sound above and around you via speakers or by reflecting sound waves off your walls and ceiling. The aim is to create a more immersive sound experience that envelops the audience. Microsoft announced support for bitstream audio in October, and it's this update that will allow the console to send Atmos audio to your AV receiver. We'll be interested to hear how this affects the sound of the player and whether it brings the console closer to dedicated 4K Blu-ray players such as the Panasonic DMP-UB900 or Samsung UBD-K8500. In his blog post Spencer Hooks, director of gaming at Dolby Laboratories, suggests that Dolby Atmos could be used to more accurately track enemies in video games. While at the moment you will need compatible Dolby Atmos speakers in order to benefit from the update, the company says that in future "it will be possible to enable virtually any pair of headphones with the Dolby Atmos experience". Dolby Atmos support for the Blu-ray app on Xbox is already available in Preview, the system's beta testing program. This puts it ahead of the PS4 Pro in that respect, which instead plays Atmos encoded content as True HD.